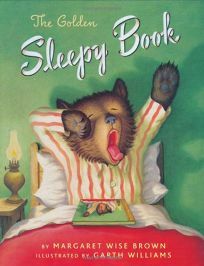 An elegant jacketed reissue re-presents The Golden Sleepy Book by Margaret Wise Brown, illus. by Garth Williams. This 1948 compilation of gentle stories, poems and songs of sleepy rabbits, horses and all manner of familial fauna acts as a soothing bedtime read.